Henry Tudor’s Lancastrian claim to the throne of England was weak at best. 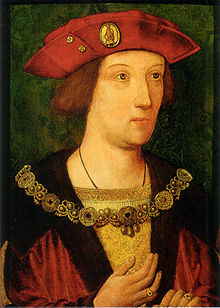 In August of 1485, he defeated the Yorkist King Richard III at the Battle of Bosworth Field and established the Tudor dynasty as King Henry VII. To cement his claim he married the eldest daughter of King Edward IV, Elizabeth of York. They were to have four children who survived infancy.